Japan is one of the most successful football teams in Asia, having qualified for the last five consecutive FIFA World Cups with second round advancements in 2002 & 2010, and having won the AFC Asian Cup a record four times. The Japanese team is commonly known by the fans and media as Soccer Nippon Daihyō- though the team does not have an official nickname often it is referred with addition of team manager – it is also nicknamed as "Samurai Blue". At Brazil, 2 goals in two second-half minutes saw the Ivory Coast come from behind and beat Japan 2-1 in a dramatic World Cup Group C encounter; later the match against Greece was rather uninspiring match ending goalless draw – leaving all disappointed. The Greek skipper was sent off with a red card; Japan had most of the chances yet failed to convert them. They failed to break down Greece even after the latter was reduced to 10 men. The players and coach may not have won accolades – but the fans certainly have…. For what the team did on field – remaining clean. Media is agog with reports praising the way stands of the stadium and its bathroom were left unblemished. 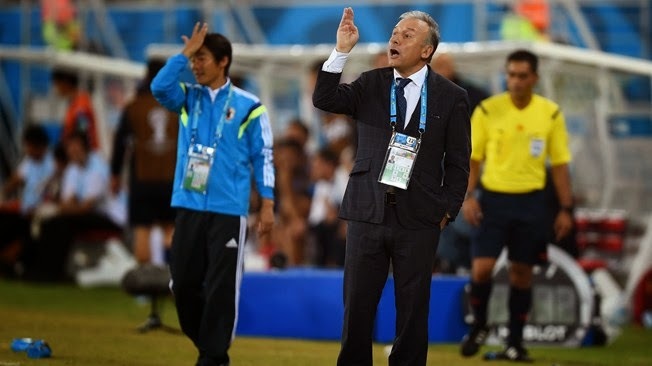 Japan coach Alberto Zaccheroni feels his side need to go back to basics if they are to stand any chance of keeping their FIFA World Cup dream alive; but it turns out that Japanese football fans have a tradition of cleaning up the stadium after matches at home, a practice which the fans vigorously undertook in Brazil. The World Cup is an opportunity to learn from different cultures and the national team. In Japan it is considered appropriate to clean up after yourself at public events such as concerts, sporting events, and festivals. Some even take the trash home if there is no place to dispose of it on the spot. Moreover, it is common after eating in a restaurant, to clean your table, leaving it the way you found it. 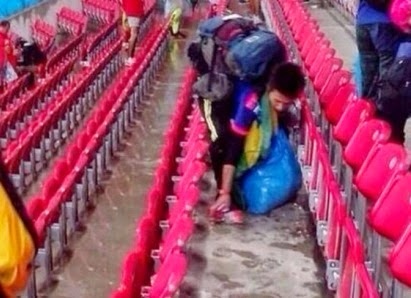 After the match ended in a goalless draw, Japanese fans were shown cleaning all the trash that was left on the stadium. Newspaper reports quote business consultant Kenji Yoshida, who lives in Los Angeles as saying - “It's our tradition. Living without waste is much better,” He and his wife Haruko Yoshida were among the approximately 15,000 Japanese who rocked the Arena das Dunas with shouts of “Nippon!” meaning Japan, in their native language. After the loss the fans were seen cleaning up the mess. Brazilians, the host nation seems amazed, “This is fantastic. 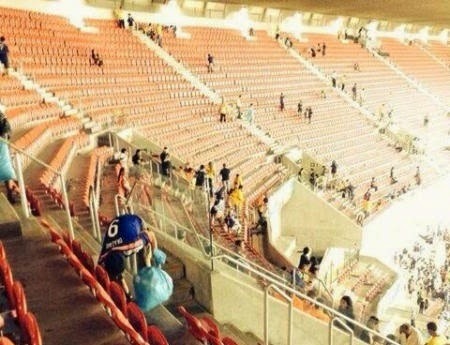 A great example for us Brazilians,” one fan told the local news outlet, while in social networks people have been calling Japanese fans the “most respectful” and “best fans at the World Cup.” …. This found mention on the social media by Subramania Swami too, who concluded – ‘Let's have vision of Clean India, we must be passionate about a clean India’.